From your career summary and work history to your education and skills, learn how to make each section of your resume the best it can be. Use these tips to write your resume. 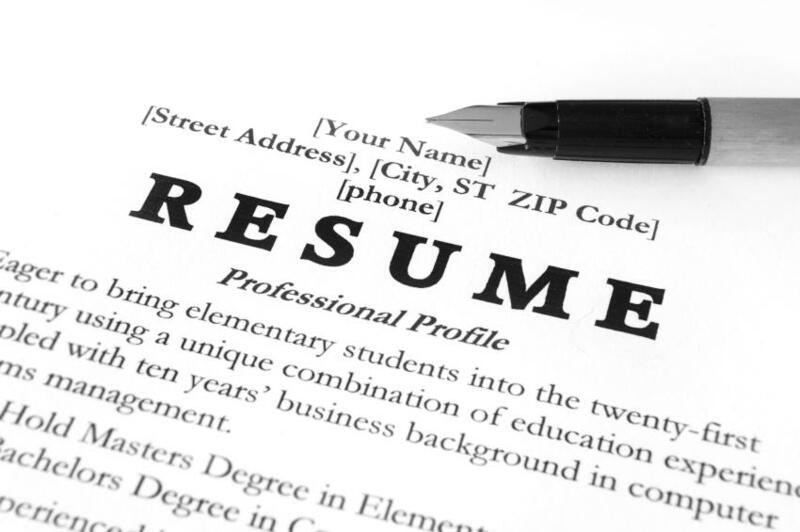 Need some basic information about writing a resume and making it stand out? Or maybe you’re looking for advice on how to fine-tune your career summary, craft your work history section, and show off your education and skills? Well, you’ve come to the right place. Then check out the following resume writing tips to learn how to write a resume optimizing each section for maximum success. To put it simply, you want your resume to be as perfect as humanly possible. Use this resume checklist to ensure all your bases are properly covered. Condensing your entire work history into a perfectly-worded, typo-free document is maybe just a little stressful. But what if we told you it doesn’t have to be as daunting as you think? Check out our easy-to-follow guide. You don’t get a second chance at a first impression and your resume is your introduction to your hopefully-soon-to-be employer. (No pressure though…) But don’t panic. This super-easy guide makes it easy. TBH, you’ve got this. By structuring your resume strategically, you can combat ageism in your job search and showcase the qualifications that are most relevant to the job you’re seeking. There’s a kind of algorithm to making a good resume: Go heavy on experience, throw in a dash of skills, make this part spicy, make this part mild. No matter what your level of experience is—or what industry you’re in—experts say every resume should have these core elements. Get employers' attention from the top by writing a memorable and professional headline for your resume. Check out these samples to see how it's done. Learn the how, where, what, when and why of incorporating your professional goals into writing your resume. Follow these six steps to develop a hard-hitting introductory qualifications statement that's packed with your most sought-after skills, abilities, accomplishments and attributes. Coupled with the descriptions of your achievements, your skills will paint a clear picture of what you can do and how you do it. Your goal is to make your talents easily identifiable. Get as much mileage as you can from listing your skills on your resume. Learn about the three types of skills you can highlight and how you can incorporate them into your resume. Employers look for examples of accomplishments to help them pinpoint achievers, candidates who go above and beyond their job duties. Check out nine ways you can jazz up your resume's work experience section to capture hiring managers' attention. Unsure about the best way to present your education on your resume? Here are some common scenarios and strategies. There's a designated spot on your resume for your education history, but some prospective employers might be interested to know the details of your studies—and others might not. Ask yourself the following questions to help you determine when and how to use your course experience to your best advantage. If you are currently in college or will soon be graduating, these tips can help you determine whether or not to include your GPA on your resume, as well as show you where and how to properly include it. Should you include high school on your resume? Do potential employers really care about where you went to high school? Short answer: Sometimes. Take your resume to the next level by including additional information that supports and reinforces your qualifications. Here's how. Monster's sample resume library includes resume templates for a variety of industries. Having trouble knowing what to write? Check these out for inspiration. There’s an age-old debate about whether size matters that affects job seekers: How long should your resume be? Your resume communicates your skills, assets and hire-ability. So if a recruiter can’t read it, or is put off by a funky font, you won’t even get a second look. From a recruiter’s perspective, your resume’s look is just as important as its content. Resume design matters. Check out what makes a resume visually appealing to hiring managers. We asked career experts what they consider the absolute must-haves for recent grad resumes—and what your resume is likely lacking if you’re still not getting a callback. Keywords are search terms that help people find what they’re looking for online. But in the job search world, they help recruiters find you! This is how to sprinkle keywords throughout your resume to make sure you're found when a recruiter searches for a specific set of skills. Metrics, data, or any kind of stats help recruiters and hiring managers see the impact you made. The right data can make your experience seem more substantial, and send a signal to a recruiter or hiring manager that you’re a serious candidate. It’s time to break from hackneyed buzzwords that carry zero weight in the eyes of a recruiter or hiring manager. Take the opportunity to liven things up a bit. Weak, vague or overused verbs can actually diminish the excellent work you did at your last job, so choose words that more accurately reflect what you do. Phrases like this are on almost every resume of everyone trying to find a job. To increase your chances of landing a job, you need to show what makes you different. So what do you do? As with so many elements of a good resume, the ultimate choice comes down to your individual style and preferences. Use these guidelines to help you choose the right approach. Volunteer experience can enrich your resume and give you a leg up on the competition, regardless of what stage you're at in your career. This is how and where to add it. We get it: When you're gainfully employed, updating your resume is no longer a priority. But if you let your resume turn stale, you put yourself at a disadvantage. If you've had any of these five events happen to you, it's time for a resume review. Most people shelve their resumes once they're comfortably employed, letting them gather dust. Bad move. Use these five quick “spring cleaning” resume tips to get yours in shape. Whether you’re telling a little white lie or a blatant fabrication, getting caught could amount to career sabotage. These are the most common lies people put on their resumes, how you can get caught lying, and easy ways to avoid lying. the worst resume mistakes are the ones that are deceptively easy to make and exceptionally difficult to repair once an employer sees them. You can avoid being careless by knowing which pitfalls to be on the lookout for. There are a few things that don’t belong on your resume—things that might not tank your chances at a job, but won’t do you any favors, either. If your resume is like that of most people, it’s not as good as it could be. The problem is language: Most resumes are a thicket of deadwood words and phrases. Let's fix that, shall we? Before you make the unfortunate choice of a passé or obnoxious font, here’s a list of the 10 worst resume fonts, and why they just don’t work in the professional world. We’ve rounded up some of the more questionable abilities people have shared on Twitter—rather than with recruiters—for you to enjoy. After you put together your resume, you want to make sure that it's highlighting your skills and experience, as well as the value you'd bring to a company. Could you use some help double-checking your work? Get a free resume evaluation today from the experts at Monster's Resume Writing Service. You'll get detailed feedback in two business days, including a review of your resume's appearance and content, and a prediction of a recruiter's first impression. Don't start a job search without it!